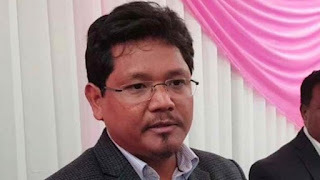 Conrad Kongkal Sangma sworn as Meghalaya's Chief Minister. The Bharatiya Janata Party’s reign in alliance with regional parties in three north-eastern States began on a youthful note. Conrad Kongkal Sangma sworn as chief minister of the state. Interesting fact in this that he(Conrad) didn't participated in the contested polls. In Tripura, State BJP president Biplab Kumar Deb, 48, being named Chief Minister of the party’s first government in the state. State of Emergency declared in Sri Lanka. Sri Lanka on Tuesday declared an island-wide state of emergency to curb growing communal violence between the island's Sinhalese and Muslim communities in the country’s Central Province. The decision, taken at the weekly cabinet meeting on Tuesday, came in response to a series of arson attacks targeting dozens of mosques and Muslim-owned shops and homes in Kandy, located in the Central Province. Chandragiri station near Tirupati in Andhra Pradesh is renamed as "all-women railway station". A gift to women on "International Women Day".Chandragiri became the first station in Andhra Pradesh to get the privileged status, as Begumpet got the tag for Telangana the same day. The health of the world’s last male northern white rhino(Sudan-name of Rhino) declines in Kenya, a global team of scientists and conservationists is making effort to save the subspecies from extinction with the help of the two surviving females. They are trying to create rhino embryos through in vitro fertilization and its success depends not on the sick, elderly male Sudan. but on his daughter Najin and granddaughter Fatu, whose eggs would likely have to be extracted because the rhinos can’t reproduce naturally. 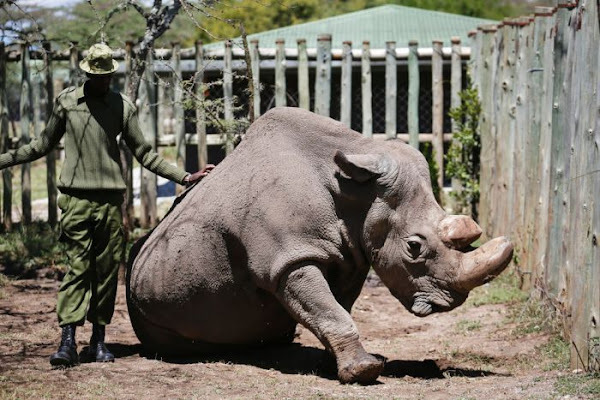 Sudan, who could be euthanized because of a leg infection, is something of a celebrity, attracts thousands of visitors to the Ol Pejeta Conservancy. Sudan became “The Most Eligible Bachelor in the World” on Tinder dating app last year in a fundraising effort. Northern White rhino and Southern White rhino are the two subspecies of white rhino. 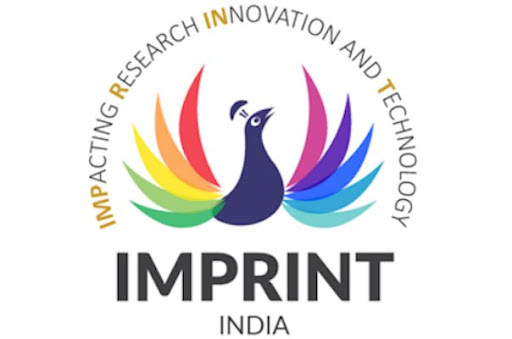 Fund for IMPRINT-II, is being created by Department of Science and Technology (DST) and HRD Ministry together. To identify areas of immediate relevance that requires innovation in the society. To ensure support and higher funding for research for identified areas. To measure outcomes of innovation and research efforts and its impact on people’s standard of living. On the occasion of International Women's Day 2018(8march2018), Union Minister of State for Health and Family Welfare Ashwini Kumar Choubey launch #YesIBleed menstrual hygiene campaign. This is the second phase of this capaign. The campaign called "#Yes I Bleed" has been initiated formally across all multi-media platforms, including Facebook and YouTube to spread awareness about the issue. After crude oil, India began importing natural gas from the US, with the first shipment of LNG under a 20-year deal being flagged off from Louisiana. State-owned gas utility GAIL India has contracted 3.5 million tonnes per annum of liquefied natural gas (LNG) from Cheniere Energy's Sabine Pass liquefaction facility in Louisiana. 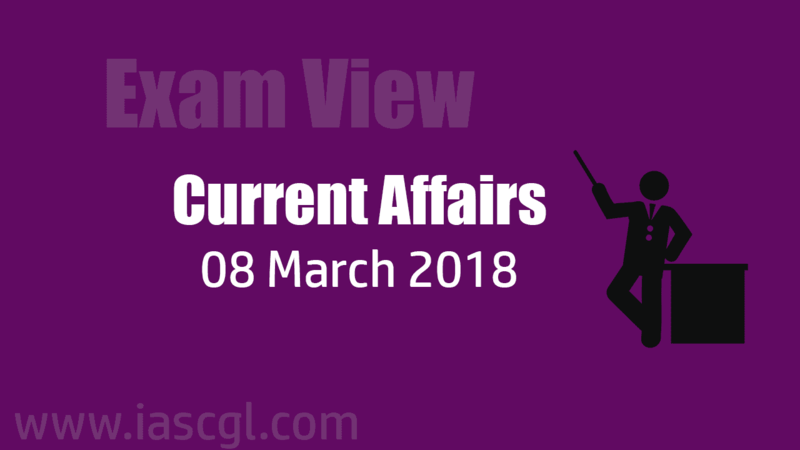 Last October, India imported its first shipment of crude oil from the US. The US had stopped oil exports in 1975, a ban lifted by former US President Barack Obama in 2015. National Mission for Manuscripts (NMM) is engaged in documentation of Indian manuscripts. The documentation of manuscripts is done without any distinction between rare and common manuscripts. Telecom major Bharti Airtel on Tuesday said it has acquired India leg of Gulf Bridge International submarine cable which will boost its data carrying capacity. “Under the agreement, Airtel will acquire the ownership of the India leg of GBI’s India-Middle East-Europe submarine cable. Airtel will also pick up a significant capacity on Middle East-Europe leg of GBI’s cable system,” Airtel said in a statement. Amazon will now invest ₹195 Cr in Digital Payment in India. The development comes just over five months after Amazon Pay India received a capital infusion of ₹ 260 Cr. Aim of this digital payments market and planning to take on rivals such as Flipkart’s PhonePe, Paytm and Google’s mobile payment service Tez.